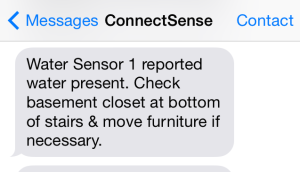 A few months ago we received an email from one of our ConnectSense Temperature Sensor customers with the subject line: "Another great use for your sensors." In the email, Greg explains how his wife, Nancy, told him that they should reconsider going to their cottage that weekend. When Greg asked why, Nancy explained that the power was out. How did she know the power was out without being at the cottage? Nancy had received a text message saying that their Temperature Sensor was offline. The only reason the sensor would be offline would be if there was no power for the Wi-Fi router to run on. Because it was a nice day and Greg and Nancy were not concerned about the temperature at their cottage, they chose not to take action, but rather to just wait until the power came back on. In other cases, such as inclement weather, they would have known about the power outage immediately and could have made a quick decision to check up on the cottage or call neighbors to make sure power lines weren't down or that there was no damage to the house. Greg then got online and began monitoring the power outage using the recorded temperatures (or lack thereof) from the Temperature Sensor at their cottage. In the graph to the right, you can see no temperature recorded from about 9pm to 12am. From this, Greg was easily able to see that the power had been out for about three hours. In addition, he was able to determine when the power came back on so that him and Nancy would know when it made more sense to go visit the cottage. Thanks for the email and sharing another use for the ConnectSense Temperature Sensor, Greg! NAPERVILLE, Ill. – (October 07, 2014) – This holiday season, gift givers can give friends and family peace of mind with a wireless and portable water sensor from ConnectSense. The ConnectSense Water Sensor can detect the presence of water anywhere before it becomes a problem, and notify homeowners by email, phone call or text message, making the sensor a good solution for vacation homes, boats and basements that may be difficult to access. Even a small amount of water can create a lot of damage. According to FloodSmart.gov, just an inch of water in a 2,000 s.f. home can cause more than $20,000 in damage and create unhealthy levels of mold. The ConnectSense Water Sensor is an easy Do It Yourself (DIY) system that does not require monthly monitoring fees. Owners simply place the sensor’s probe on the floor where the first signs of water may appear. Owners then set up notification rules at ConnectSense.com about who is contacted and if notification is by email, text message, phone call or Tweet. Notifications are sent using the existing Wi-Fi network and can be sent to more than one person. ConnectSense also manufactures sensors to monitor temperature, humidity, motion, security and light. More information is available at www.connectsense.com. Flooding is America's most common natural disaster, yet many homeowners are unprotected. In Grid Connect’s home base of Naperville, Illinois, rainstorms and especially winter storms and melting snow this season can create a high flood risk. Everyone lives in a flood zone and just because you haven’t experienced one in the past, doesn’t mean you won’t in the future. There are a number of factors that can cause a flood, one of which is weather. Hurricanes, winter storms and snowmelt are often overlooked causes of flooding. More common causes of flooding include heavy rains and the spring thaw that usually begin mid-March to early April here in Naperville. Have you ever heard the phrase, “April showers bring May flowers?” Unfortunately, many times April showers also bring floodwaters. Water damage can be deceptive and go undetected for days in places such as your basement. At a minimum, this damage will cause stinky odors while greater damage can cause your property and the things you care about to deteriorate to the point where they need costly repairs. As little as two inches of water can cause devastating damage to your home. In a 1,000 square foot home, those two inches of water can mean up to $10,000 dollars worth of damage and most Homeowners Insurance does not cover these costs. In many cases, the sources of this type of damage require additional coverage or a separate policy. There are two types of policies that cover water damage: homeowners insurance and flood insurance. Though many people believe that flooding is also covered under homeowners insurance, they are two separate and distinct policies. Most homeowner policies cover damage to your home caused by a sudden and accidental water event such as a burst pipe, an overflowing toilet or melting snow that enters your home after a winter storm. Flood damage is many times caused by environmental factors such as an overflowing river or lake or the ground being saturated with too much water after a violent storm. According to the National Flood Insurance Program, “A flood is a general and temporary condition where two or more acres of normally dry land or two or more properties are inundated by water or mudflow.” Water entering your basement after a heavy rain or winter runoff is usually considered flood damage as well, which again, is not covered under your standard homeowners insurance. Just because your neighborhood hasn't flooded yet doesn't mean it won't this year. It is important to talk to your insurance agent to make sure your home and belongings are properly covered especially if you live in an area where flooding events are common. 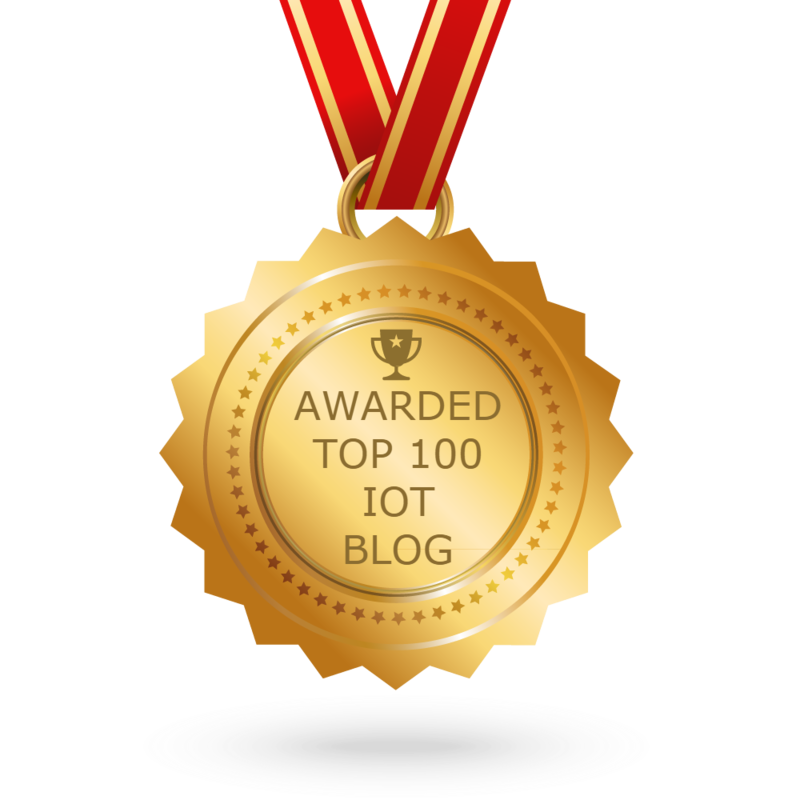 Thanks to the “Internet of Things” revolution where everyday objects can be connected to each other through the Internet, there are a number of devices available that can help reduce the amount of water damage in your home by immediately notifying you when something goes awry. Water sensors are readily accessible and inexpensive, especially in comparison to the cost of water damage. Battery-powered, smart sensors can be mounted near plumbing or other appliances that might leak. Installation is easy and requires very little maintenance beyond making sure to check the batteries and/or power sources regularly. Once installed, water sensors will alert the you when water is detected somewhere it shouldn’t be such as in a basement, crawl space, or even just under a sink. These notifications can be received in the form of a phone call, text message, email, or for the social media-savvy, a tweet. You can find water sensors through online retailers such as Amazon.